Villa Tiziana lies just 300m from a lovely, sandy beach. 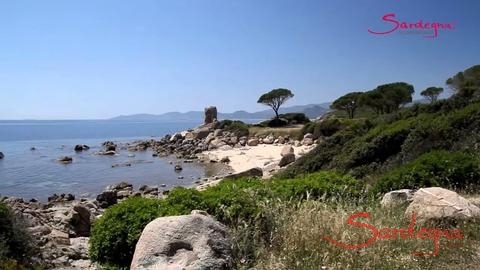 The route to the sea passes through blooming gardens and opens out into a footpath bordered by reeds and the macchia scrubland typical of the country, in just a few steps reaching one of Sardinia’s most beautiful beaches that never gets too crowded, not even in the high season. Villa Tiziana is the perfect place to spend some unforgettable days under southern skies among flowers, palm trees and the sea. Blooming gardens, the salty smell of the sea, a covered patio with a barbeque and a beautiful lawn before you – who could ask for more? 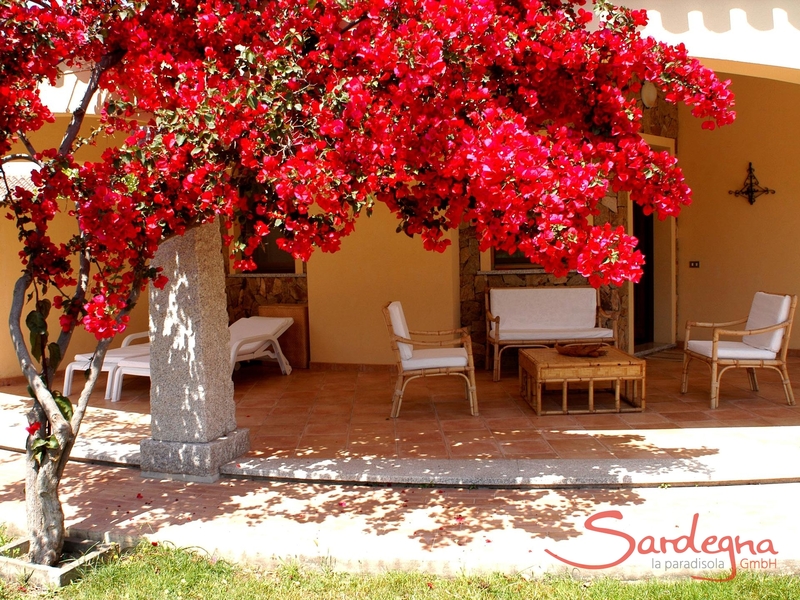 Surrounded by a wonderful garden, cooled by shady palms, the house is highlighted by gorgeous red bougainvillea and yellow broom. The terrace, the heart of any <?xml:namespace prefix = "st1" ns = "urn:schemas-microsoft-com:office:smarttags" />Mediterranean home, is complemented by the Italian owner’s pretty kitchen garden. Beautiful wooden furniture on the patio ensures you will enjoy your time relaxing out of doors. The living room is accessed via this patio, with a dining area and comfortable seating arranged around the fireplace. 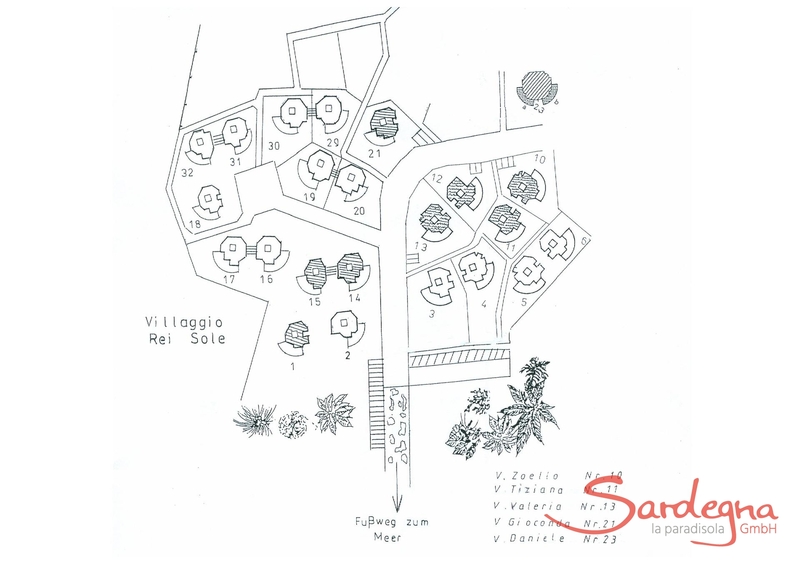 One special attraction is the leafy courtyard, around which the living and sleeping areas are grouped. The open kitchen is very well equipped and includes a washing machine and dishwasher. The two bedrooms (one with a double bed and another with three beds, one a sofa bed) can sleep 4-5 people. The house has two beautifully designed bathrooms. A climate control system makes sure that the house keeps warm in the cooler months and comfortably cool in the summer. The nearby sea shimmers in the garden through the bushes. Shopping, pizzerias and restaurants are only about 2 km away. A special attraction is the traditional market offering a wide range of fresh fruit and vegetables, regional specialties and traditional handicrafts. 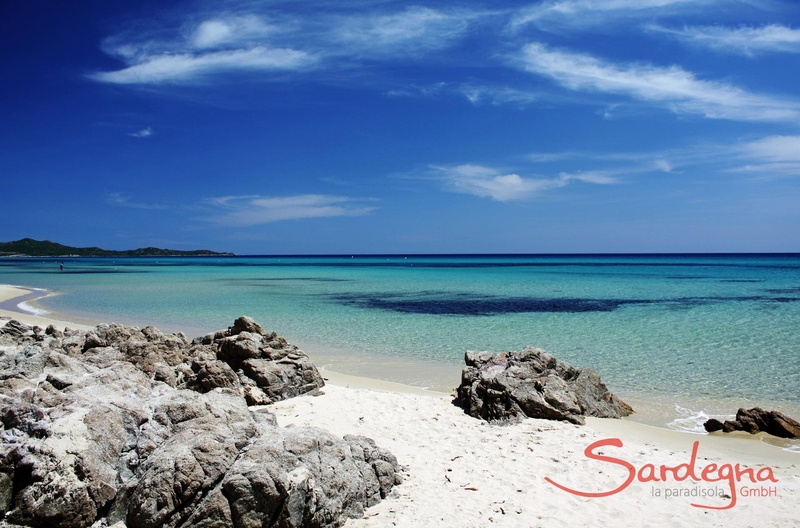 A few kilometers down the road and you arrive at the rocky beaches of Capo Ferrato. 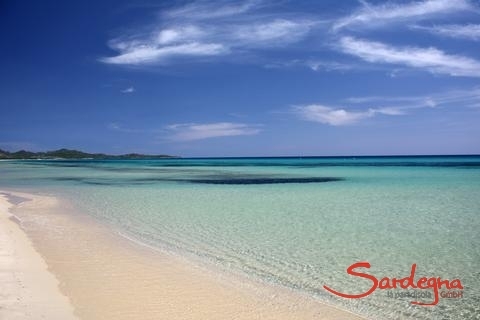 Cagliari, the capital of Sardinia, is a good hour's drive away. 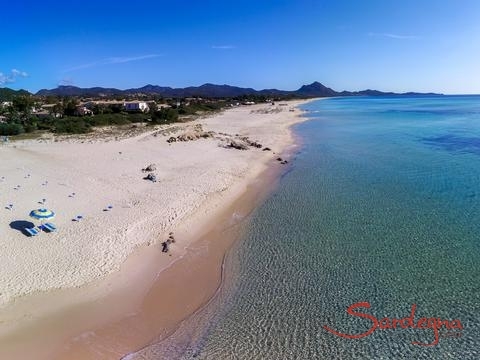 Family friendly beach house under the palm treesVilla Tiziana lies just 300m from a lovely, sandy beach. 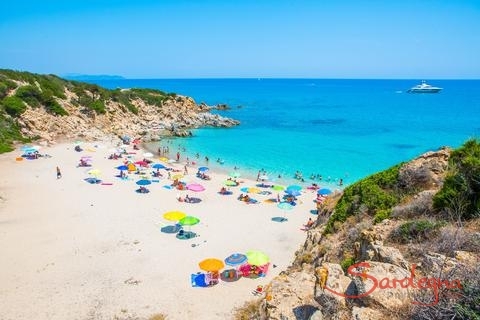 The route to the sea passes through blooming gardens and opens out into a footpath bordered by reeds and the macchia scrubland typical of the country, in just a few steps reaching one of Sardinia’s most beautiful beaches that never gets too crowded, not even in the high season. 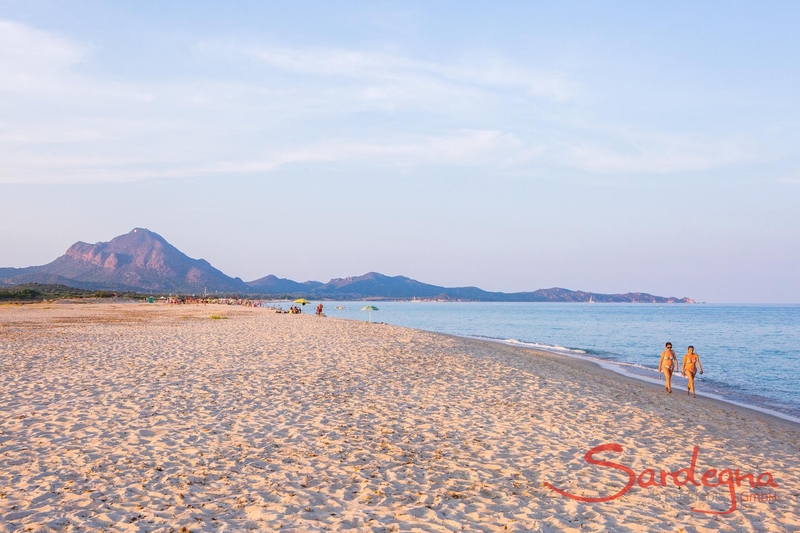 Villa Tiziana is the perfect place to spend some unforgettable days under southern skies among flowers, palm trees and the sea. Blooming gardens, the salty smell of the sea, a covered patio with a barbeque and a beautiful lawn before you – who could ask for more?A house with all possible comfortsSurrounded by a wonderful garden, cooled by shady palms, the house is highlighted by gorgeous red bougainvillea and yellow broom. The terrace, the heart of any Mediterranean home, is complemented by the Italian owner’s pretty kitchen garden. Beautiful wooden furniture on the patio ensures you will enjoy your time relaxing out of doors. The living room is accessed via this patio, with a dining area and comfortable seating arranged around the fireplace. 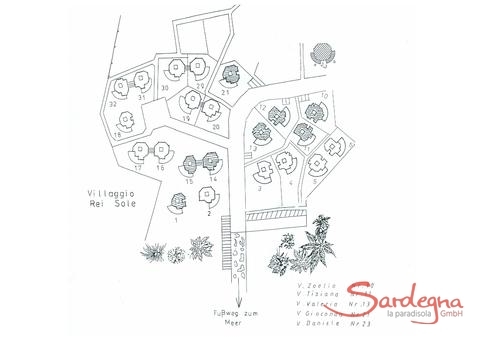 One special attraction is the leafy courtyard, around which the living and sleeping areas are grouped. The open kitchen is very well equipped and includes a washing machine and dishwasher. The two bedrooms (one with a double bed and another with three beds, one a sofa bed) can sleep 4-5 people. 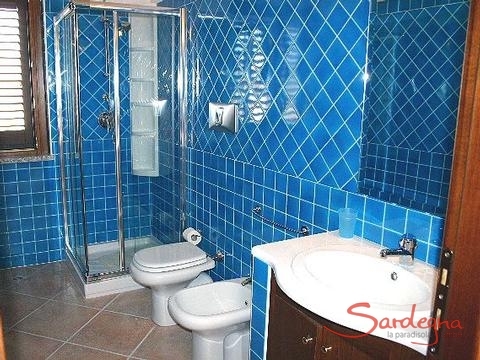 The house has two beautifully designed bathrooms. A climate control system makes sure that the house keeps warm in the cooler months and comfortably cool in the summer. The nearby sea shimmers in the garden through the bushes. 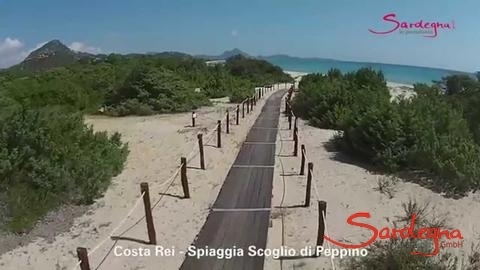 Enjoy the beach video Scoglio di Peppino as well as the virtual tour "1 day at Costa Rei". In the areaShopping, pizzerias and restaurants are only about 2 km away. 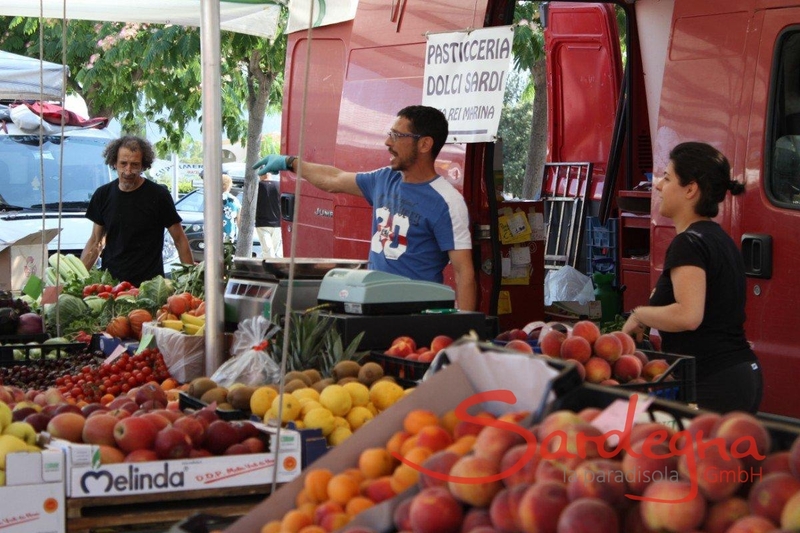 A special attraction is the traditional market offering a wide range of fresh fruit and vegetables, regional specialties and traditional handicrafts. 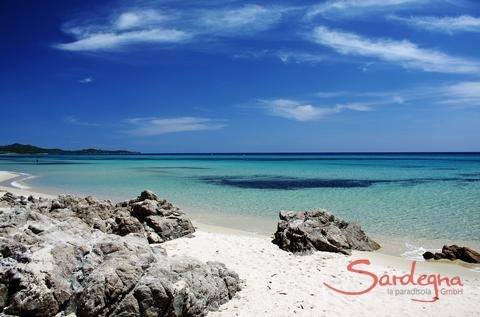 A few kilometers down the road and you arrive at the rocky beaches of Capo Ferrato. 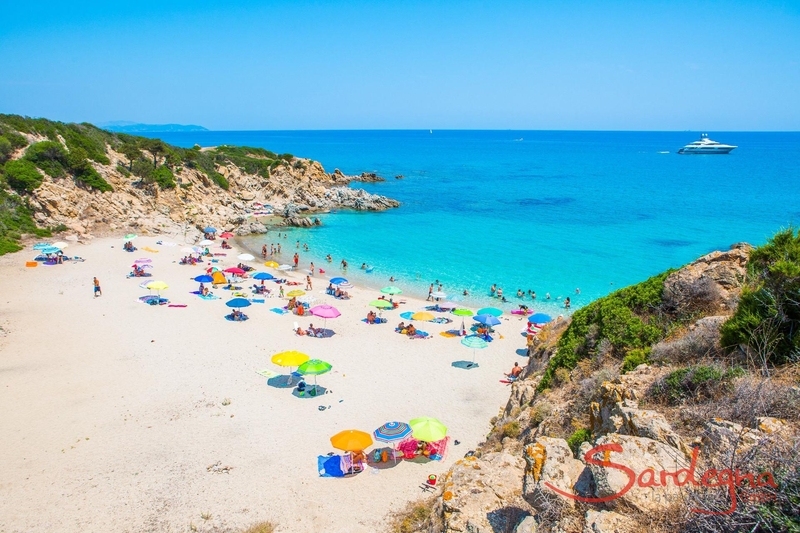 Cagliari, the capital of Sardinia, is a good hour's drive away.